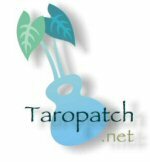 Taropatch.net - George Kahumoku & friends returning to Denver! Just in time to kick off our spring, at our old favorite hangout, Swallow Hill. Beware, March is Denver's snowiest month! But who cares. The Aloha shirts should melt any snow.